A greeting card and a present in one! 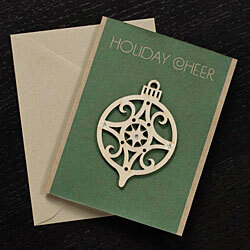 Ornament is natural wood with crystal accents and has a coordinating message on card front. Card and envelope are in cello bag. 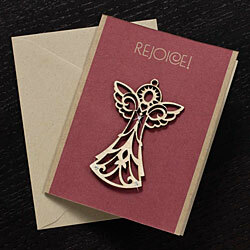 Card Measures: 4¼" x 5½"
Ornament Measures: 2½" x 4"